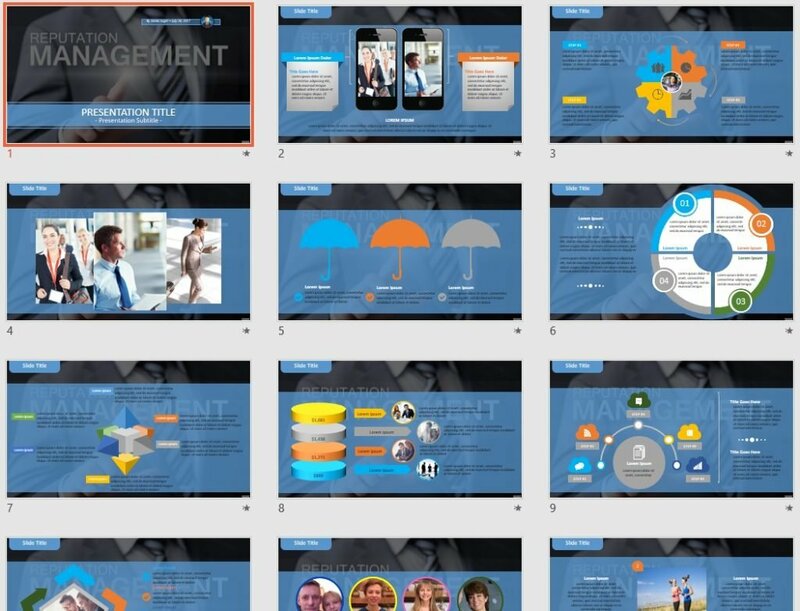 This Reputation Management PowerPoint by SageFox includes a collection of pre-formatted PowerPoint slides (average 55 slides per template), which are 100% editable and 100% Free. Use for School, Work or Personal needs. Click the download link below to open or save to your computer. Welcome to SageFox Free Powerpoint Templates one of the most useful and unique PowerPoint Templates resource websites available. We provide you a huge collection of 17157 Free Themed Powerpoint Templates that you can download for free, and modify for your personal or business Presentations. There is no need to register, and no hidden fees to use our Free PowerPoint Templates. Getting professional Powerpoint Templates are as simple as few clicks. Easily impress your audience and add a unique appeal to your Reports and Presentations with our free Templates. Free Reputation Management PowerPoint.